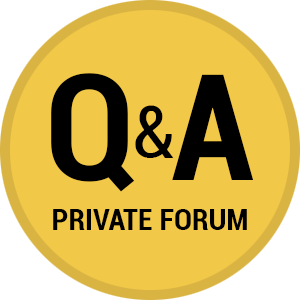 This is a private Q & A forum for members of Savvy College PlanningSM. On this Q & A forum, members post their trickiest college planning questions. Lynn O’Shaughnessy, college planning expert, answers them on a regular basis. As a Savvy College Planning member, you can search an archive of past questions on key topics. This is a valuable college planning knowledge archive.